The Wellness Tourism Association (WTA) is celebrating its first anniversary with the release of its first survey on Wellness Vacations. 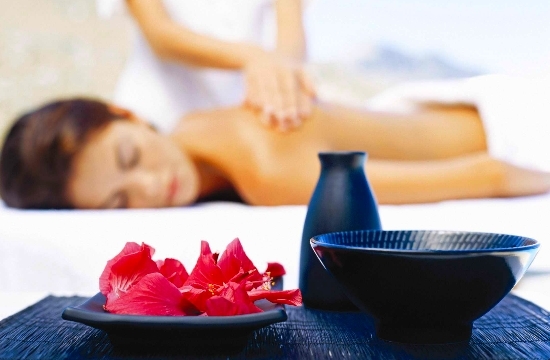 Members of WTA were polled to find out what the top wellness travel trends are for 2019, recommend.com reports. Wellness travel has gained popularity worldwide, and the Global Wellness Institute is predicting that the wellness tourism sector will reach close to $1 trillion U.S. on a global level by 2020. Seventy-five percent of women participate in solo traveler retreats. The Going Solo trend that many of the WTA members are witnessing supports the results of the WTA’s recent Wellness Vacation survey in which close to 25 percent of respondents reported a preference for solo travel. At Fairmont Chateau Lake Louise in Banff National Park, Alberta, Davina Bernard, director of wellness, tells WTA that 50 percent of their wellness package guests are women traveling solo, a figure that increases to 75 percent for three- and four-night retreats. Many travelers are taking a wellness-focused holiday for the first time. Bernard reports that “95 percent of the people who attend all-inclusive retreats at Fairmont Chateau Lake Louise have never attended a wellness retreat before.” Supporting this trend, over 60 percent of WTA Survey respondents indicated that they had never taken a Wellness Vacation as they themselves described, but hoped to do so in the near future and wanted more information. The flexibility between longer vacation options and short vacation options is rising. Members are seeing demand for a wider range of durations for retreats and programs. Kathleen LeSage, co-owner of the New Life Hiking Spa in Killington, Vermont, tells WTA that over the past three years, the number of guests that have stayed longer than two weeks has increased by 90 percent. She says, “the trend to longer stays prompted us to add the 21-night wellness retreat launched in 2017.” Simultaneously, Canyon Ranch has seen a decrease in guests’ average length of stay, as customers, “are seeking shorter and more frequent trips,” says Klein. Hilton Head Health’s senior v.p. of sales and marketing Jessica Brantley tells WTA that while “annual visits” have been popular for years, guests are now planning out shorter, more frequent trips (two to four times per year) to stay on track, while others are dedicating resources to commit to an 8- to 12-week stay to make a significant and efficient impact on their health. She has also observed that while such bookings might have once been considered impulsive trips to drop a few pounds, H3 has found guests to be more structured and intentional with their wellness travel plans of late. Twenty percent of guests at Hilton Head Health plan their next visits before they leave, she adds. Guests are not only seeking yoga retreats, but mindful wellness vacations. Wellness guests “might have been searching for ‘yoga retreats’ online, but it is the content around ‘mindfulness’ and how to live your best life that they tell us is the best part of our retreats,” stresses Bernard. Travelers are appreciating true wellness-focused vacations that are the right fit for their specific needs. Consumers are becoming more aware of the value associated with a true wellness vacation that is planned with a specific aim and carefully researched to ensure the right fit prior to booking. At Kamalaya, Stewart has witnessed “more guests coming from all over the world because they are dealing with stress and stress-related symptoms due to their fast-paced lifestyles.” She is seeing an increasing number of travelers looking for health solutions and a results-focused approach to such health concerns as stress management, insomnia, and achieving a healthy weight. “The vast majority of guests come to Kamalaya with a goal in mind, whether it’s clearly defined (e.g. stress, detox or fitness) or less defined such as a need to reset internally (e.g. to address difficult life changes back home, relationship breakup, change of job, or emotional imbalance due to the loss of a loved one, perhaps). Some want to re-establish better lifestyle habits, eliminate some unhealthy habits, and fulfill the need to reset themselves,” she adds. Over the years, Stewart says they’ve seen a rising number of guests experiencing pain, discomfort and other symptoms related to physical misalignment. Just this past November, she adds, Kamalaya introduced a new Structural Revival wellness program to help guests find solutions. For more information, visit wellnesstourismassociation.org.